A variety of Societies within the IEEE are Sponsoring standards development activities that are directly related to the applications that will support the ultra-high bandwidth, ultra-low latency and ultra-low power requirements of next generation networking (aka 5G and beyond) applications such as networking vehicles, massive IoT and industrial automation. Society Sponsors are the parent bodies for a variety of Working Groups that host the development of standard projects. An example is the Computer Society which hosts the Sponsor IEEE 802 LAN/MAN Standards Committee, which in turn hosts a number of Working Groups actively engaged in writing technical interoperability specifications in a wide range of standards projects. A specific example is Computer Society/IEEE 802 LAN/MAN Committee/IEEE 802.11 Wireless LAN Working Group/IEEE 802.11 ax High Efficiency WLAN Project. For more information on the IEEE Standards Association, please click here to read more. The IEEE is making available an on-line dynamic database of all the IEEE Standards and Projects under its purview. 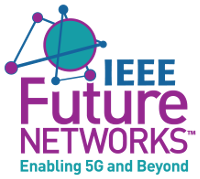 The database aims to assist the IEEE Future Networks Initiative identify all the standards related activities that may be relevant to IEEE 5G and beyond. The database is dynamic and modifiable. It has been designed to be enhanced by potential stakeholders and contributors to the initiative. Please click on the relevant sponsor, working group or project below to view a full description of how that standard activity is related to next generation networking. The IEEE 802 LAN/MAN Standards Committee develops and maintains networking standards and recommended practices for local, metropolitan, and other area networks, using an open and accredited process, and advocates them on a global basis. The most widely used standards are for Ethernet, Bridging and Virtual Bridged LANs, Wireless LAN, Wireless PAN, Wireless MAN, Wireless Coexistence, Media Independent Handover Services, and Wireless RAN. An individual Working Group provides the focus for each area. IEEE P802.1CM™ is a profile of Ethernet networks utilizing Time Sensitive Networking (TSN) for fronthaul in mobile networks. This standard defines profiles that select features, options, configurations, defaults, protocols and procedures of bridges, stations and LANs that are necessary to build networks that are capable of transporting fronthaul streams, which are time sensitive. IEEE 802.1CF™ is a Network Reference Model and Functional Description of the complete IEEE 802 Access Network. This Recommended Practice specifies an access network, which connects terminals to their access routers, utilizing technologies based on the family of IEEE 802 Standards by providing an access network reference model, including entities and reference points along with behavioural and functional descriptions of communications among those entities. A new industry connections activity will assess emerging requirements for IEEE 802-based communication infrastructures and facilitate building industry consensus towards proposals to initiate new standards development efforts. IEEE 802.3 Ethernet is expected to play a foundational role in creating the fixed infrastructure for 5G. This will range from data and power for wireless access points to backhaul for wireless networks, and within networks including enterprise to data centers. The IEEE 802.3 standard defines Ethernet local area, access and metropolitan area networks. Ethernet is specified at selected speeds of operation; and uses a common media access control (MAC) specification and management information base (MIB). The Carrier Sense Multiple Access with Collision Detection (CSMA/CD) MAC protocol specifies shared medium (half duplex) operation, as well as full duplex operation. Speed specific Media Independent Interfaces (MIIs) provide an architectural and optional implementation interface to selected Physical Layer entities (PHY). The Physical Layer encodes frames for transmission and decodes received frames with the modulation specified for the speed of operation, transmission medium and supported link length. Other specified capabilities include: control and management protocols, and the provision of power over selected twisted pair PHY types. Current projects include IEEE P802.3bs™ 200 Gb/s and 400 Gb/s Ethernet, defining 200 Gb/s Ethernet over single-mode fiber and 400 Gb/s Ethernet over optical physical media, IEEE P802.3ca™ 25 Gb/s, 50 Gb/s, and 100 Gb/s Ethernet Passive Optical Networks (EPON), defining 25 Gb/s, 50 Gb/s, and 100 Gb/s Ethernet on point-to-multipoint passive optical networks, IEEE P802.3cc™ 25 Gb/s Ethernet over Single-Mode Fiber, and IEEE P802.3cd™ 50Gb/s, 100 Gb/s, and 200 Gb/s Ethernet, defining 50 Gb/s Ethernet over copper and optical media as well as additional PHYs for 100 Gb/s Ethernet over copper and optical media and 200 Gb/s Ethernet over copper and multimode fibre. IEEE 802.11 (also known as Wi-Fi ) is a wireless technology that has become a critical component in today’s networked world. It is used virtually everywhere people need internet access, including wireless networking in homes, schools, campuses, airports, offices, businesses, stadiums, parks, and shops. In addition, 802.11 provides mobile operators with wireless LAN off-load allowing them to satisfy high bandwidth data requirements of their customers. Cable operators use wireless LAN technology to extend the availability of their networks throughout their customers’ homes and neighbourhoods. It is predicted that there will be 32 Billion 802.11 (Wi-Fi) devices by 2021 , and that 80% of mobile traffic will include an 802.11 (Wi-Fi) link by 2019 . IEEE 802.11’s strength is the simplicity with which it can be deployed in license-exempt spectrum worldwide, and this has led to its pervasive deployment across multiple applications and geographies over the last 20 years. IEEE 802.11 is continually being extended with new technologies that will be important in meeting the needs of next generation networks. These include IEEE 802.11ac™-2013 (up to 7 Gbps in 5 GHz) and IEEE 802.11ad™-2012 (7 Gbps in 60 GHz), both of which will significantly improve the throughput and capabilities of wireless networks. The next generation technologies of IEEE P802.11ax™ will provide for even greater throughput and efficiency in dense user scenarios (in the 5 GHz bands, up to 10 Gbps), and IEEE P802.11ay™ will provide extremely high data rates (in the 60 GHz band, up to 20 Gbps). IEEE 802.11 will continue to support Enhanced Mobile Broadband by providing data off-load and enhanced network integration with 3GPP networks via 3GPP integration technologies such as LWA , LWIP , e-LWA , NBIFOM . It is also anticipated that new technical capabilities provided by 3GPP such as New Radio (NR) and the NextGen System will support integration of 802.11 devices. IEEE 802.11 will support Massive Machine Type Communications via IEEE 802.11ah™-2016 technology, marketed by the Wi-Fi Alliance as “HaLow”. IEEE Std 802.11ah-2016 devices operate in frequency bands below one gigahertz, offering longer range and lower power connectivity. This technology enables the connection of devices in a power-efficient way for many applications such as the Smart Home, the connected car, and digital healthcare, as well as connectivity of devices in the industrial, retail, agriculture, and Smart City environments. In addition, IEEE Std 802.11-2016 in the 2.4 and 5 GHz bands can provide network access to devices being deployed in areas that currently have an existing IEEE 802.11 access network such as homes, schools, businesses, shops, and airports. This network access can be provided at no additional deployment cost or network development as these are existing networks. IEEE 802.11’s existing power save features for operation in other bands also support machine type communications for battery-powered devices, and efforts to optimize this functionality using a “wake up radio” mechanism are underway. 1: Wi-Fi is a trademark of the Wi-Fi Alliance, the trade organization that certifies products that incorporate IEEE 802.11 standards. IEEE 802.15 has a number of projects that may find value in 5G networks, specifically IEEE 802.15.3 amendments d and e, IEEE 802.15.4 Standard for Low Rate Wireless Networks, IEEE 802.15.7 Standard for Optical Wireless Communications, IEEE 802.15.8 Peer Aware Communications, IEEE 802.15.11 Multi-Gigbit/sec Optical Wireless Communications, and IEEE 802.15.12 Intelligent Upper Layer Interface for IEEE 802.15.4. IEEE 802.15.3 is expected to provide essential components to 5G networks enabling high-rate multi-media transmission at millimeter and sub-millimeter waves. Two projects are currently developing amendments to IEEE 802.15.3-2016. Amendment IEEE 802.15.3d defines a new physical layer operating in the 300 GHz band for fixed point-to-point applications with data rates of up to 100 Gbit/s targeting applications for intra-device communication, kiosk-downloading, wireless links in data centers and backhaul/fronthaul links in cellular networks. Amendment IEEE 802.15.3e provides a solution for high-rate close proximity communications of 10 cm or less at carrier frequencies in the 60 GHz band with data rates of up to 100 Gbit/s and total transaction times of 250ms or less. This amendment was recently approved for publication. IEEE 802.15.4 is widely used for wireless communications in the Internet of Things and can provide precision location, robust standards based Low Power Wide Area (LPWA) communications widely need in the carrier space for IoT services, and direct connection to scalable mesh IoT networks for the Home Area Network (HAN) and Smart City or Field Area Networks (FAN). IEEE 802.15.7 provides a simple way for mobile devices, existing and new, to interconnect to each other and fixed infrastructure via optical camera communications utilizing the camera as a receiver and the display or flash as the transmitter, allowing many envisioned 5G functions to be performed with plentiful non RF license exempt optical spectrum freeing up valuable 5G RF spectrum infrastructure. IEEE 802.15.8 provides infrastructure-less communications for social networking among large numbers co-located mobile devices in up to stadium size settings again reducing stress and congestion on 5G network infrastructure. IEEE 802.15.11 is a new project for a standard supporting Multi-Gigabit/sec Optical Wireless Communications. Among many others, applications include short range support for streaming video applications using interference free optical spectrum again reducing load and stress on the RF portions of the 5G network infrastructure. IEEE 802.15.12 is a standard for an intelligent upper layer interface for IEEE 802.15.4 providing a number of capabilities, from key management, upper layer protocol switching, packet fragmentation management with 6LowPAN, layer 2 routing and more. 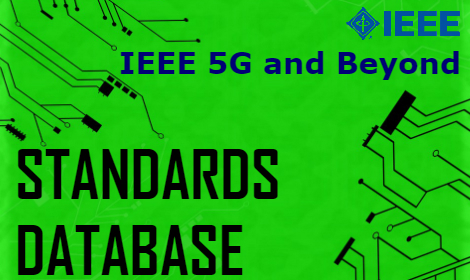 This standard vastly simplifies the use of IEEE 802.15.4 in 5G networks and mobile devices to support connection to the IoT and support for carrier based LPWA applications. The IEEE 802.18 Radio Regulatory Technical Advisory Group ("RR-TAG") supports the work of the IEEE 802 LMSC and the IEEE 802 wireless Working Groups - IEEE 802.11 (WLAN), IEEE 802.15 (WPAN), IEEE 802.16 (WMAN), IEEE 802.20™ (Wireless Mobility), IEEE 802.21™ (Handoff/Interoperability Between Networks), and IEEE 802.22™ (WRAN) - by actively monitoring and participating in radio regulatory matters worldwide as an advocate for IEEE 802. IEEE 802.19 Working Group develops standards for coexistence between wireless standards of unlicensed devices and reviews coexistence assurance (CA) documents produced by working groups developing new wireless standards for unlicensed devices. As of 2017, two projects are ongoing. The first one, IEEE P802.19.1a™, is an amendment to IEEE 802.19.1-2014 TVWS coexistence standard. With the need to address the growing demand for mitigating co-channel interference among wireless networks and devices including both IEEE 802 and non IEEE 802 systems operating under general authorization, such as the TV band White Spaces, the 5GHz license-exempt bands, and the general authorized access in 3.5GHz bands over IP-based network, the Task Group defines the network-based coexistence information exchange among networks and devices to enable network-based coexistence management. It specifies procedures and protocols for collecting and exchanging coexistence information of heterogeneous networks; spectrum resource measurements and network performance metrics, such as packet error ratio and delay; information elements and data structures to capture coexistence information. The second project of the group, IEEE P802.19.1b™, is preparing a recommended practice with the purpose of is to identify performance enhancement settings that provide improvements for IEEE 802 wireless devices in automotive environments. The wireless device parameters include both the physical layer (PHY) and the medium access control layer (MAC) settings of the devices. The typical scenarios the recommended practice will include, interference among IEEE 802 devices and interference between IEEE 802 devices and non IEEE 802 devices in the 2.4 GHz band. IEEE 802.19 may play an important role in realizing major 5G goals, which are achieving massive machine type communications and ultra-reliable and low latency communications. IEEE 802.19 based systems may enable next generation systems to share and coexist in harmony in spectrum bands which will be heavily occupied due to massive and heterogeneous use. IEEE 802.21 is developing standards to enable handover and interoperability between heterogeneous network types including both 802 and non 802 networks. The IEEE 802.22 Working Group develops cognitive and software defined radio enabled wireless communications, spectrum sensing, and spectrum management related standards. All of its standards are highly relevant to the 5G Framework. Its flagship IEEE 802.22 Standard on Wireless Regional Area Networks (WRANs) proposes to use the unused Television Band Channels (the so called White Spaces) in the VHF and the UHF Bands to provide fixed, nomadic and mobile, high throughput, long range communications. Applications of this standard include remote and rural broadband internet access, Frugal 5G for e-Education, e-Health, e-Banking, ship to shore communications, homeland security, border protection and surveillance, environment monitoring, smart grid applications such as Supervisory Control and Data Acquisition (SCADA) as well as low latency applications such as protective relaying at a future date. The IEEE 802.22-2011 has been approved by ISO. The IEEE 802.22 Working Group has published two amendments. IEEE 802.22a™-2014 on Management Information Base (MIBs) and IEEE 802.22b™-2015 on Enhancements for Broadband Services and Monitoring Applications. The IEEE 802.22b specification includes ways to enhance the throughput of IEEE 802.22-2011 using techniques such as channel bonding, channel aggregation, MIMO, as well as support for higher number of users. It also includes techniques for direct device to device connectivity without the need to go through a Base Station. The IEEE 802.22 Revision is currently under way and slated to finish in 2018 time-frame. The IEEE 802.22.1 Standard developed Advanced Beaconing technology to enable spectrum sharing. The IEEE 802.22.2 Standard developed a recommended practice for deployment of the IEEE 802.22 networks. Finally the IEEE 802.22 Working Group is currently also developing the IEEE 802.22.3™ Standard on Spectrum Characterization and Occupancy Sensing (SCOS). This standard will help quantify the spectrum usage and availability in various bands using distributed spectrum monitoring. It will also help with the automated spectrum management, spectrum de-confliction, interference detection and spectrum enforcement. The 802.24 Vertical Applications TAG focuses on application categories that use IEEE 802 technology and are of interest to multiple IEEE 802 WGs. It develops white papers, presentations and other documents that describe the use of 802 standards in vertical applications. Currently, the TAG addresses the vertical application areas of Smart Grid and IoT. Both of these areas have strong alignment with Next Generation or 5G networks. Advanced Metering Infrastructure (AMI) is a prime example of massive machine type communications, with networks connecting millions of smart meters. Utilities currently operate control networks that provide ultra-reliable and low latency communications for SCADA and protection. These industries will have a strong interest in Next Generation networks that will provide additional options and performance improvements. Standards that enable flexible deployment and operation on both private infrastructure and commercial networks are particularly important. IEEE 802 standards support Smart Grid and IoT with different degrees of optimization for ultra-reliable and low latency communications and massive machine type communications. The 802.24 TAG will continue to address these applications as "next gen network" standards are developed. Existing infrastructure has made it possible to develop and disseminate asynchronous e-learning courses and to run distributed classes. This is a great achievement that has increased access and availability without negatively impacting learning outcomes, but faster and more effective learning modalities are needed to meet the demand for rapid continual learning and requalification, especially in STEM fields Promising candidate modalities include simulations, serious games, mixed reality, intelligent tutoring systems, and social learning, all enabled by advances in Web technologies, standards, artificial intelligence, and data mining. 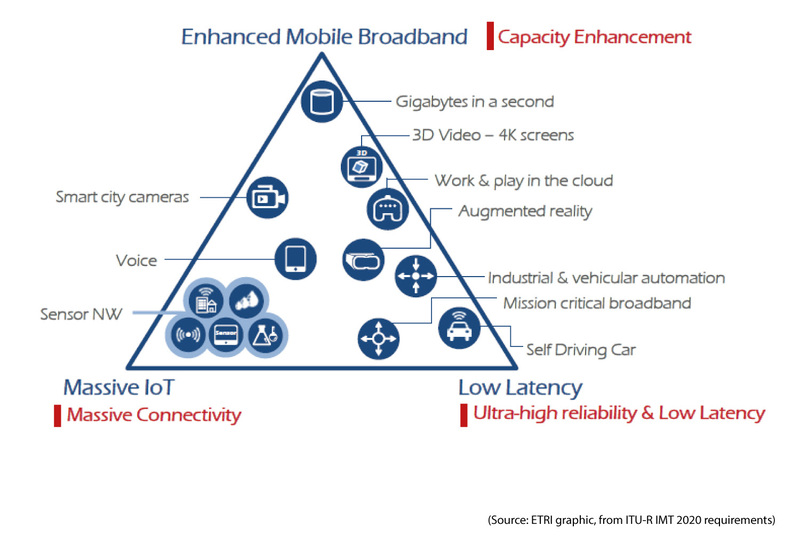 These are being developed and deployed in limited quantities today, and 5G has the potential to bring these into the mainstream by providing the required low latency, high bandwidth connectivity on untethered devices. In addition, 5G-enabled applications in health care, commerce, transportation, manufacturing and other areas will routinely include real-time data mining, multiuser interactions, and adaptive interfaces, setting new user expectations and drastically lowering the cost of the underlying technologies used by new types of learning environments. 5G has the potential to be the tipping point that moves online education and training from its current state of replicating traditional methods to a future state of active, compelling, adaptive, networked learning applications and, as such, to profoundly change the way we teach and learn. The standard provides compact descriptors to represent the audio/visual features and describe the category, attribute, property and context information of the multimedia data, which can facilitate content searching and indexing, save bandwidth for transmission, enable hardware support for descriptor extraction and matching, ensure interoperability of multimedia applications and ubiquitous platforms, simplify design of audiovisual application, and enhance performance on visual surveillance, mobile computing, augmented reality and other applications which demand high bandwidth.The standard for digital media content description specifies digital media content descriptors as well as their supporting tools to satisfy the requirement of searching in large scale multimedia data and support applications such as visual surveillance and mobile computing. This standard consists of three parts: 1) label, classification and core metadata, 2) visual object description, and 3) audio object description. This standard discusses the simulation of the movement of joints and subsequent changes of skin, muscle, and neighboring structures. It defines joint range of motion, movement, and structure of skeleton for rigging work. Additionally, it reviews simulation devices such as haptic devices or software and hardware based on reality augmented equipment. This standard defines a framework of Internet Protocol (IP)-based service overlay networks and context-aware, e.g., such as required Quality of Service (QoS) level; type of service such as real time versus data; nature of data stream such as I-frame versus B-frame; and type of terminal such as TV monitor versus personal digital assistant], dynamically adaptive (e.g., using locally derived information to discover, organize, and maintain traffic flows in the network within a local area network), and self-organizing networking capabilities (e.g., developing network structures based on the needs of the customers and the capabilities of existing network structures), including advanced routing and forwarding schemes, that are independent of underlying networks, are specified in this Next Generation Service Overlay Network (NGSON) standard. The NGSON architecture provides advanced service- and transport-related functions to support context-aware, dynamically adaptive, and self-organizing networks. This standard specifies a functional architecture for NGSON. The functional architecture consists of a set of functional entities (FEs), their functions, reference points, and information flows to illustrate service interaction and media delivery among FEs and external components. NGSON may operate with different underlying networks such as IP Multimedia Subsystem (IMS), next generation network (NGN), peer-to-peer (P2P) overlay, or Web to transmit NGSON signaling messages and/or media among its users and services. Specifications of underlying networks are outside scope of this standard. This Standard specifies protocols among Content Delivery (CD) Functional Entity (FE), Service Routing (SR) FE, Service Policy Decision (SPD) FE, Service Discovery and Negotiation (SDN) FE, and Context Information Management (CIM) FE to support advanced content delivery capability in next generation service overlay networks. The content delivery capability aims to support content discovery, content cache and storage management, content delivery control, and transport Quality of Service (QoS) control including context-aware and dynamically adaptive content delivery operations. This standard specifies protocols among Service Composition (SC) Functional Entity (FE), Service Discovery and Negotiation (SDN) FE, Context Information Management (CIM) FE, Service Routing (SR) FE and Service Policy Decision (SPD) FE to support service composition capabilities in next generation service overlay network. The capabilities of service composition aim to support service chaining and instantiation, specification interpretation, service brokering and execution, and context- aware and dynamically adaptive service composition. This standard enables NGSON network operators to reduce OPEX of NGSON networks based on self-organizing management capabilities of NGSON including self-configuration, self-recovery, and self-optimization of NGSON nodes and functional entities. This standard specifies protocols between Overlay Management (OM) Functional Entity (FE) and all other NGSON FEs, and/or NGSON nodes to enable OM FE involved self-organizing management capability. This capability includes activation and deactivation of an NGSON node and addition, deletion, movement and copy of an NGSON function entity from or to an NGSON node. This standard also specifies protocols among Service Routing (SR) FEs to enable OM FE non-involved self-organizing management capability such as re-organization of overlay structure among multiple SR FEs for recovery from a failed or overloaded SR FE or for performance improvement of service routing. This standard specifies a common communication architecture for diverse wireless communication devices such as, but not limited to, devices equipped with near field communication (NFC), home area network (HAN), wireless area network (WAN) wireless personal area network (WPAN) technologies or radio frequency identification technology (RFID) considering proximity; and specifies approaches for end user security through device discovery/recognition, simplification of user authentication, tracking items/people under user control/responsibility, and supports alerting; while supporting privacy through user controlled sharing of information independent of the underlying wireless networking technology used by the devices. The purpose of the Software Defined Quantum Communication (SDQC) standard is to define a classical interface to quantum communication devices that permits these devices to be reconfigured to implement a variety of protocols and measurements. This standard defines the Software-Defined Quantum Communication (SDQC) protocol that enables configuration of quantum endpoints in a communication network in order to dynamically create, modify, or remove quantum protocols or applications. This protocol resides at the application layer and communicates over Transmission Control Protocol/Internet Protocol. The protocol design facilitates future integration with Software-Defined Networking and Open Networking Foundation OpenFlow. The standard defines a set of quantum device configuration commands that control the transmission, reception, and operation of quantum states. These device commands contain parameters that describe quantum state preparation, measurement, and readout. Architecture for the transport of mobile fronthaul traffic (e.g., Ethernet-based), including user data traffic, and management and control plane traffic. Requirements and definitions for the fronthaul networks, including data rates, timing and synchronization, and quality of service. The standard also analyzes functional partitioning schemes between Remote Radio Units (RRUs) and Base-Band Units (BBUs) that improve fronthaul link efficiency and interoperability on the transport level, and that facilitate the realization of cooperative radio functions, such as massive Multiple-Input-Multiple-Output (massive MIMO) operational modes, Coordinated Multi-Point (CoMP) transmission and reception. This standard provides a framework for network operators, service/content providers, and end users to build and operate secure SDN/NFV environments. This standard specifies security framework, models, analytics, and requirements for Software Defined Networking and Network Function Virtualization (SDN/NFV). This standard provides a framework to build and operate SDN/NFV service delivery infrastructure that satisfies performance expectations of network operators, service/content providers, and end users. This standard specifies performance framework including characteristics, metrics, requirements, models, and use-cases for Software Defined Networking and Network Function Virtualization (SDN/NFV). This standard provides a framework to build and operate SDN/NFV service delivery infrastructure that satisfies reliability expectations of network operators, service/content providers, and end users. This standard specifies reliability framework, models, analytics, and requirements for Software Defined Networking and Network Function Virtualization (SDN/NFV). This standard facilitates the rapid realization of the Tactile Internet as a 5G and beyond application, across a range of different user groups. Additionally, this standard provides the groundwork upon which the Tactile Internet will be formed. To this end, this standard provides a baseline for a pioneering range of further standards that will be created under this working group realizing the key necessary technical capabilities of the Tactile Internet. This standard defines a framework for the Tactile Internet, including descriptions of various application scenarios, definitions and terminology, functions, and technical assumptions. This framework prominently also includes a reference model and architecture, which defines common architectural entities, interfaces between those entities, and the mapping of functions to those entities. The Tactile Internet encompasses mission critical applications (e.g., manufacturing, transportation, healthcare and mobility), as well as non-critical applications (e.g., edutainment and events). This standard defines haptic codecs for the Tactile Internet (TI). These codecs address TI application scenarios where the human is in the loop (i.e. teleoperation or remote touch applications) as well as scenarios that rely on machine remote control. The standard defines (perceptual) data reduction algorithms and schemes for both closed-loop (kinesthetic information exchange) and open-loop (tactile information exchange) communication. These codecs are designed such that they can be combined with stabilizing control and local communication architectures for time-delayed teleoperation. Further, the standard also specifies mechanisms and protocols for the exchange of the capabilities (e.g. workspace, the number of degrees of freedom, amplitude range, temporal and spatial resolution, etc.) of the haptic devices. This standard introduces more automation in networking by means of an SDN bootstrapping procedure that can be used regardless of the networking and connectivity service environments for the sakes of proper interoperation between SDN computation logic instance(s) and the managed resources (networking, storage, CPU), virtualized or not, that will be involved (i.e., computed, selected, allocated and maintained) in the delivery, operation, and management of a connectivity service. This standard specifies a bootstrapping mechanism for Software-Defined Networking (SDN) architectures. This Recommended Practice specifies a middleware for vendor independent management and control of Wireless Networks, specifically, management & control of Access Points (APs) for IEEE 802.11 based Wireless Local Area Networks (WLAN) and BaseStations for IEEE 802.22 based Wireless Regional Area Networks (WRAN), in accordance with the Software Defined Networking (SDN) paradigm. This standard defines an architectural framework, protocols and Application Programming Interfaces (APIs) for providing Real-time Onsite Operations Facilitation (ROOF). ROOF computing and networking for the data and the devices include next-hop connectivity for the devices, real-time context building and decision triggers, efficient backhaul connectivity to the cloud, and security & privacy. This standard covers interoperability, collaboration and autonomous operation of an Internet of Things (IoT) system with computing required for context building, security, access control, data storage, data aggregation and ability to choose different cloud and application service providers. Furthermore, this standard defines how an end user is able to securely provision, commission and decommission the devices. This standard leverages existing applicable standards and is complementary to architectural frameworks defined in broader IoT environments. This standard defines an architectural framework for the Internet of Things (IoT), including descriptions of various IoT domains, definitions of IoT domain abstractions, and identification of commonalities between different IoT domains. The architectural framework for IoT provides a reference model that defines relationships among various IoT verticals (e.g., transportation, healthcare, etc.) and common architecture elements. It also provides a blueprint for data abstraction and the quality "quadruple" trust that includes protection, security, privacy, and safety." Furthermore, this standard provides a reference architecture that builds upon the reference model. The reference architecture covers the definition of basic architectural building blocks and their ability to be integrated into multi-tiered systems. The reference architecture also addresses how to document and, if strived for, mitigate architecture divergence. This standard leverages existing applicable standards and identifies planned or ongoing projects with a similar or overlapping scope. This document comprises recommended practices for the measurement of antenna transmitting and receiving properties. It is a comprehensive revision and extension of ANSI/IEEE 149™-1979. Throughout this standard it may be assumed that the antenna to be measured can be treated as a passive, linear, and reciprocal device. Therefore its radiation properties can be measured in either the transmitting or the receiving mode. Many of the test practices described can, however, be adapted for use in the measurement of antenna systems containing circuit elements that may be active, nonlinear, or nonreciprocal. For these cases there is no simple relationship between the antenna systems transmitting and receiving properties. Therefore measurements shall be performed for the mode or modes in which the antenna system has been designed to be used. A fundamental property of any antenna is its radiation pattern. The measurement of radiation patterns in an antenna test facility is discussed. The design of antenna test facilities is described along with instrumentation requirements for the proper operation of the antenna facility, directions for the evaluation of an (existing) range, and the operation of ranges is discussed. For each direction of space, the radiation pattern is characterized by amplitude, phase, and polarization. From the measurement of these parameters, gain, directivity and radiation efficiency can be determined. Power transfer from generator to antenna is controlled by the input impedance to the antenna. This important parameter frequently limits the useful bandwidth of the antenna. Measurement procedures and network descriptions are described. Measurement of the radiation pattern includes errors. A method adopted in other standards is presented and discussed for its applicability to the various test facilities described. Throughout this standard, attempts are made to discuss measurement techniques as thoroughly as is practicable. However, in general step-by-step procedural descriptions have been avoided. References are provided which are illustrative of measurement techniques and in which details may be found. The standard provides terms and definitions used in the context of electromagnetic wave propagation relating to the fields of telecommunications, remote sensing, radio astronomy, optical waves, plasma waves, the ionosphere, the magnetosphere, and magnetohydrodynamic, acoustic, and electrostatic waves. Some obsolete terms and definitions will be removed. The language used for some already existing terms will be refined. The standard will also include some additional terms that are commonly accepted in these fields. The IEEE 1451, a family of Smart Transducer Interface Standards, describes a set of open, common, network-independent communication interfaces for connecting transducers (sensors or actuators) to microprocessors, instrumentation systems, and control/field networks. The key feature of these standards is the definition of a TEDS. The TEDS is a memory device attached to the transducer, which stores transducer identification, calibration, correction data, and manufacture-related information. The goal of 1451 is to allow the access of transducer data through a common set of interfaces whether the transducers are connected to systems or networks via a wired or wireless means. The family of IEEE 1451 standards are sponsored by the IEEE Instrumentation and Measurement Society’s Sensor Technology Technical Committee. This standard defines a method for data sharing, interoperability, and security of messages over a network, where sensors, actuators and other devices can interoperate, regardless of underlying communication technology. The backend of such a globally scalable, secure and interoperable network would be based on the eXtensible Messaging and Presence Protocol (XMPP), and rely on infrastructural components, or bridges, with standardized interfaces that provide real-time conversion of other IoT and M2M protocols, such as those based on CoAP (Constrained Application Protocol), HTTP (Hypertext Transfer Protocol), MQTT (Message Queuing Telemetry Transport Protocol), AMQP (Advanced Message Queuing Protocol), etc., and other interoperability interfaces, such as those provided by the IEEE 1451 Smart Transducer Interface, oneM2M, OMA LWM2M (Open Mobile Alliance Lightweight M2M), OIC (Open Internet Connection), UPnP (Universal Plug and Play), IPSO (Internet Protocol for Smart Objects) Alliance, etc. The standard utilizes the advanced capabilities of the XMPP protocol, such as providing globally authenticated identities, authorization, presence, lifecycle management, interoperable communication, IoT discovery and provisioning. Descriptive meta-data about devices and operations will provide sufficient information for infrastructural components, services and end-users to dynamically adapt to a changing environment. Key components and needs of a successful Smart City infrastructure will be identified and addressed. This standard does not develop Application Programming Interfaces (APIs) for existing IoT or legacy protocols. The purpose of this standard is to present minimum performance requirements for those precision connectors used at RF, microwave and millimeter-wave frequencies. It introduces the performance requirements needed to standardize precision pin and socket type connectors. The standard presents updated test methods to utilize automatic vector network analyzers (VNAs) along with current state-of-the-art concepts in connector technology, and displays specification values from individual connector types in a connector summary table. A very important utility of this standard is that it serves as a user's guide. One unique feature of this standard is that it embodies the general requirements, definitions, measuring methods, and other pertinent information into one document for all eight standard connector types while making use of the "detail specifications" information from each connector type for standardization into separate Annexes.The scope of this standard is to specify coaxial connectors for precision electrical measurements for use at RF, microwave and millimeter-wave frequencies. Current state-of-the-art coaxial connectors are covered by the Standard. This document provides recommended practices for the determination of measurement uncertainty for digitally modulated signals used in wireless communications. Applications include the determination of uncertainty in system-level distortion metrics that are used in wireless communication standards, such as error vector magnitude. Recommended best practices are provided for each metric. This Recommended Practice defines common terms in large-signal vector network analysis. Some fundamental terms used in small-signal vector network analysis that are also commonly used in large-signal vector network analysis are covered as well. This standard describes the Wireless Access in Vehicular Environments (WAVE/DSRC) architecture and services necessary for multi-channel DSRC/WAVE devices to communicate in a mobile vehicular environment. This recommended practice is intended primarily for use by engineers and other specialists who are familiar with electromagnetic (EM) theory and SAR measurement techniques; it does not recommend specific SAR limit values since these are found in other documents. The benefits to the users include standardized and accepted protocols, validation techniques, and means for estimating the overall measurement uncertainty in order to produce valid and repeatable data. IEEE Standards Association (IEEE-SA) provides a, global, open, and collaborative platform for wireless communities that engage in, and enable the development of new, innovative, and relevant use cases and standards which, in turn, accelerate the time to market of consensus-developed technologies. Supporting the development of market driven constructs (SIG, Alliances, etc.,) while representing the interests of ourselves and our stakeholders (Societies, Councils, and Working Groups). Providing a global, open, and collaborative platform for wireless communities, that engage in and enable the development of standards. Endorsing the development of the NGMC (Next Generation Mobile Communications) community. Engaging the applications and use cases, such that IEEE 802.11™ (commonly referred to as Wi-Fi®) and enabling technologies continue to recognize marketplace growth, in a manner that the world is able to continue to benefit from its existence and advancement. Ensuring that policy makers are aware of technologies, such as IEEE 802.11 and that they understand that co-existence and collaboration are critical to successful NGMC deployment. Addressing region-specific use cases, to ensure regional viability of standards and applications. Offering add-on services, products, registries, and lifecycle elements and supporting the development of initiatives and APIs (e.g., open source), where applicable. Facilitating NGMC technological research and development (e.g., Mmwave/MIMO, Microwave RAN for backhaul, SDN, and IoT) by universities and other research institutes/SDOs, and where applicable, offering a binding community.